Established in 2000 by its Founder & Chairman, Riad Alakkam, JR's POS Depot takes pride in serving the Financial Transaction Industry. Our goal is to provide competitive pricing along with exceptional personalized service to our customers. 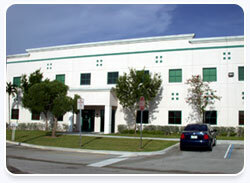 Our Headquarters is located at 3892 NW 124th AVE, CORAL SPRINGS FL 33065. JR's is a privately held company and is operated by its Shareholders and Officers. We are all available to our customers at any time and welcome calls from potential customers as well. A graduate of the University of Louisiana, Riad has 20 years experience in management and computer programming. He has been in the Credit Card Industry since 1988. His prior experiences have been with Panasonic (Cash register programmer), NOVATEK Corporation (VP of operations and Sales) for 10 years, UNIPAY (VP of Operations) for 2 years and Founder & Chairman of JR's P.O.S. Depot since 2000.